The Ray Mears Canada Jay Sleeping Bag is a premium-quality 5-season synthetic sleeping bag, designed exclusively for Woodlore by Ray Mears. The Canada Jay has been designed for use in extreme cold, proving itself in laboratory tests to have a minimum comfort temperature of -35°C. This model has been tested extensively for more than a decade in various environments around the world, and remains the winter expedition bag of choice for Ray Mears and the Woodlore team. The Canada Jay contains a form of synthetic insulation known as Climashield Apex; an innovative fabric that is the most lightweight and thermally efficient continuous filament insulation on the market today. Climashield Apex provides durable warmth under harsh conditions, holding its original shape and properties no matter how many times your bag is compressed or washed. 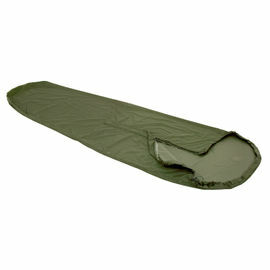 All of our sleeping bags utilise a central-zip design; a simple feature which makes a huge difference in the field. Originally found in military sleeping bags, the central-zip makes getting in and out of the bag far easier than traditional side-zip designs. More importantly, it allows the user to comfortably sit upright while still keeping their lower body inside the bag, making it possible to change clothes in stages from within the warmth and comfort of your bag. As any cold-weather camper will attest, this is a very welcome feature when the temperature drops! 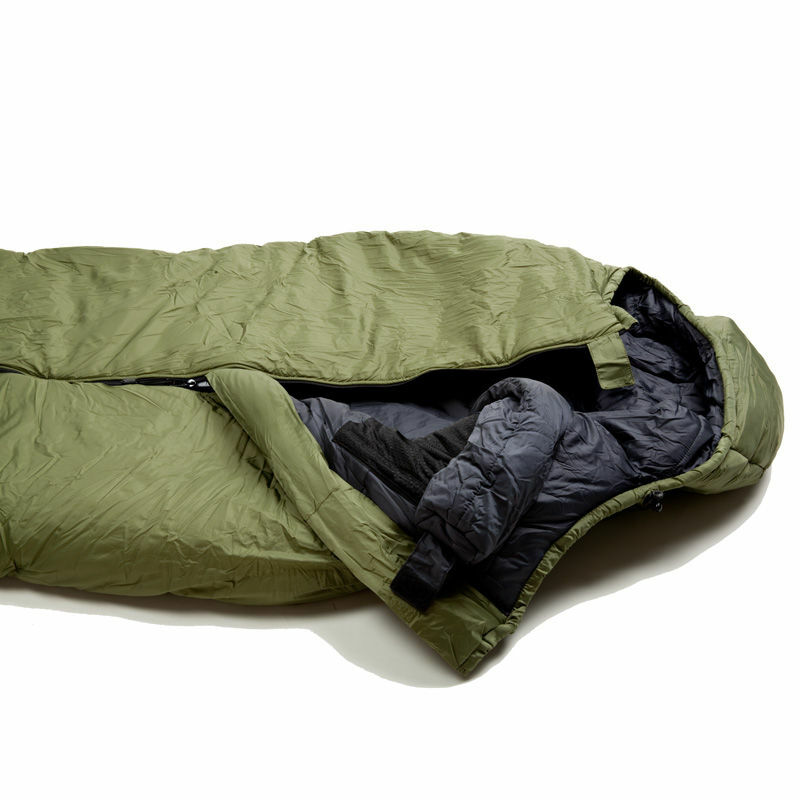 The Canada Jay is made in a tapered 'mummy' shape, keeping unused dead space to a minimum while avoiding the restrictive feeling so often associated with this style of sleeping bag. At the head is a roomy, full-size hood with internal drawstrings, allowing you to create as snug a fit as you desire. A fibre-filled baffle runs horizontally across the inside of the hood, providing extra support and insulation around your neck. A second internal baffle runs down the full-length of the central-zip, ensuring that your body does not come into direct contact with the zip while also keeping out any draughts, thus eliminating any unnecessary heat loss. An additional feature is the inclusion of two inner mesh pockets, placed either side of the central zip on the chest area. These zippered pockets are ideal for keeping your valuables hidden and protected. The Canada Jay comes with its own compression stuff sack, complete with a fabric tongue on the opening and a tough, sewn-in drawstring. 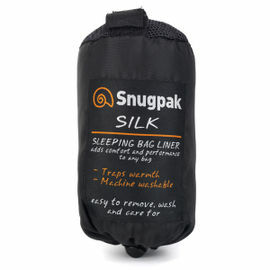 As the name suggests, your sleeping bag is best packed when simply stuffed into the sack, rather than rolled, making packing easier. The Woodlore logo is proudly shown on the foot of both the stuff sack and the sleeping bag itself. Compressed size: 37 x 30 x 27 cm approx. 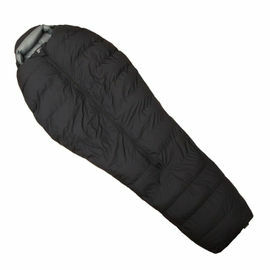 Ray Mears Arctic Sleeping Bag - Canada Jay is rated 5/5 based on 15 customer reviews. 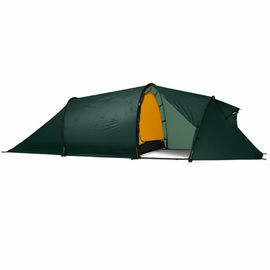 Bought this for husband to use in Norway in Jan/Feb, sleeping outdoors in temperatures down to -35. He said the chest strap and hood cords stop any wind/cold getting in, it is light enough to hook on his kit bag without weighing him down further and 'it’s the best thing I’ve ever bought him' so that seems to sum it up. This is the second one of these I've bought from Woodlore. It has good features like the central zip and inside pocket, and is very warm. I have used it in very cold conditions (-30c) and am still typing. Be aware though - you'll probably fine it too warm for year round use. I don't go along with the whole 'if it's too hot open it up and use it like a duvet' thing, bits of me get cold or wet and clammy. Price wise, it is excellent value. It is nice and soft although it doesn't have the fluffy puffy feeling of a down bag - however, the upside is that it can get wet and the fibre inside doesn't turn into a wet lump of feathers. The zip on my old one catches on the material beside it, which is utterly tedious. Anyway, I've still come back for more so it's not such a big deal evidently. Yes, I do recommend and as usual Woodlore standard of service sets the bar for other companies to aspire to. I Bought your Arctic Sleeping bag to go to Northern India in search of snow leopards. Whilst Camping the lowest temperatures went down to -16C, the bag was brilliant, I even had to strip off it got so hot. For Home stays the coldest temperatures were -23C, still brilliantly warm, no complaints at all. The only issue was the zip kept coming apart once it was closed. Every time I managed to pull the closing mechanism down below the opening, clearly not ideal in the kind of temperatures I have mentioned. Bag is great quality and although I cannot comment on how it would perform at serious sub zero temperatures, I can testify that it was seriously toasty on a boat when the temperature caused the water in the coffee machine to freeze solid. So much so that I needed to open it up too cool down. I have no doubt that this bag will keep you warm in seriously cold conditions. Just need to be a bit considerate when using the zip. Also I would say if you are over 6 feet tall it would be too short for effective use in extreme conditions and it is pretty bulky. Would recommend a Norrona Recon pack if you need to pack it. All said though this is clearly a great piece of kit and the price is great for the specification you get. Great service as always. It is actually a bit heavier than the goose down filled equivalent but once in position it is fabulous. I only managed minus 10 Celsius camping in Ladakh last winter and I felt too warm. It is obviously capable of withstanding much colder. It is such amazing value for money I was wondering 'what must be wrong with it?'. I was a little hesitant to buy it at first, but I haven't found anything wrong yet. Very robust construction, a real hidden gem. 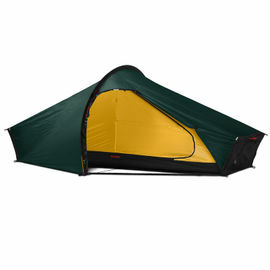 Overall a brilliant piece of kit, it contains quality materials it is also very light. However with a few issues. The biggest issue is the collar. It is not possible to fully pull it tight and there is a small space where all the heat escapes. I personally had to adjust/move the Velcro on the collar. Then there is the Velcro that rips the fabric. And the -35 comfort is not accurate. Possibly when fully clothed and out of the wind. That however differs form person to person. Otherwise a good sleeping bag. I'm happy we had a harsh winter - it was a stable -20 all winter here in Quebec. I experienced the -30 and the -40s for the first time in my life for multiple days. This bag is awesome; if it's too warm and you sweat, it wicks away all your condensation humidity from the sleeping bag, so it keeps you dry and warm. It is a very comfortable piece of kit, very light, and you can take advantage of the central zipper when other sleeping bags open only on one side. I love it. The only problem is around the velcro; it wears the fabric, so you've got to be careful not to have it grip on the sleeping bag fabric. Anyway, it did the job I expected it to in cold weather. In my opinion, in very cold weather, I would rather use a wool blanket instead of a bivvy, as it keeps you warm and dry since it's more breathable. Thanks Ray; I had a blast this winter. Decided to sleep out last night to test my sleeping bag. Went between Beer & Branscombe along the seafront cliff top walk down in Devon. Used a bivi, sleep mat, sleeping bag & cotton liner. Made a nice cuppa on my esbit pocket stove, then heated some more water to use the water bottle as a hot water bottle. Checked my digital temp & outside went to -1 whilst I was a cosy 25 in my sleeping bag. Got a bit too warm so had to let some heat out. Overall I am very impressed with my purchases. Definitely better than my old sleeping bag that I got off eBay for £30 so you do get what you pay for. This is a solid piece of kit! It's not as heavy as it looks or as described but it sure is as warm. I've only field tested this twice: once at -9°C and the other at -12°C but both times I was totally warm with only a sleeping mat and my bivvy. I highly recommend this bag. 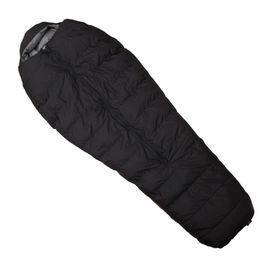 I find the Canada Jay Synthetic sleeping bag to be one of a high standard of quality, it is very comfortable, and there's not many synthetic sleeping bags that you can use safely when the weathers goes to a cold -20 degrees comfortably.